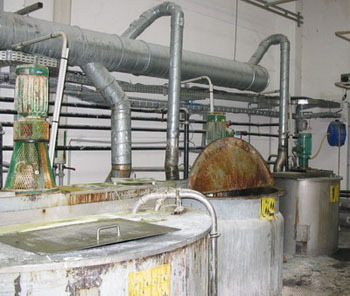 Purging operations are usually realised on industrial units (tank, reactor, etc.) in order to maintain product quality (e.g., by using a dry sweep gas to minimise water vapour in system), to reduce concentrations of flammable vapours or also to purge all residual vapour from an installation. By forced extraction (canalised output) of vapours. One model for partially filled installation purging (that still contain liquid solvents).